I love working with repeat clients and I have helped Tyla with her children's birthday parties and other events over the last three years. Her most recent requests was for printables for a 1950s party at Cohn's Corvette Diner. Rock n' Roll, burgers and shakes rule at the Corvette Diner, a '50s throw-back, with sassy waitresses in poodle skirts and bouffant hair-dos. It's not just a place to eat, it's the perfect destination for a birthday party with great food, arcades, music and more! It looks like so much fun that I wish they had a Corvette Diner in my town so I could have a party there!!! Tyla wanted some fun printables that would match their decor and logo with hot pink, aqua-blue and black/white checkerboard pattern. 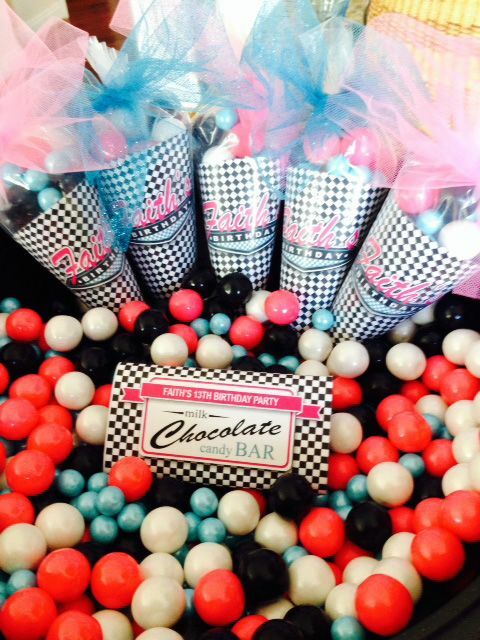 Here are the items that I created for her party. 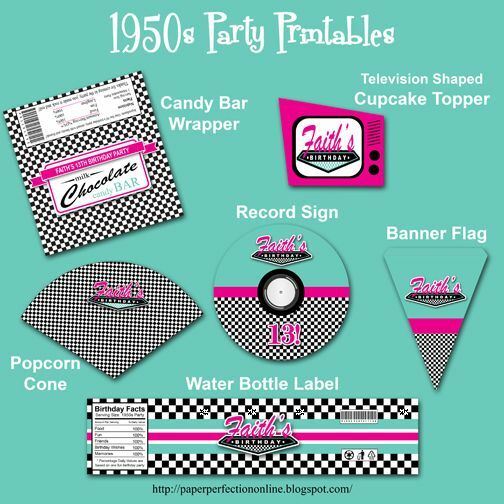 If you would like these items for your next 50s party or custom items, contact Paper Perfection at jtanddolly@yahoo.com for pricing and details. Here is a GREAT picture that Tyla took of the candy bar wrapper and "popcorn" cone that she made, put in a plastic cone from a craft store, filled with candy and tied with pink and blue tulle. 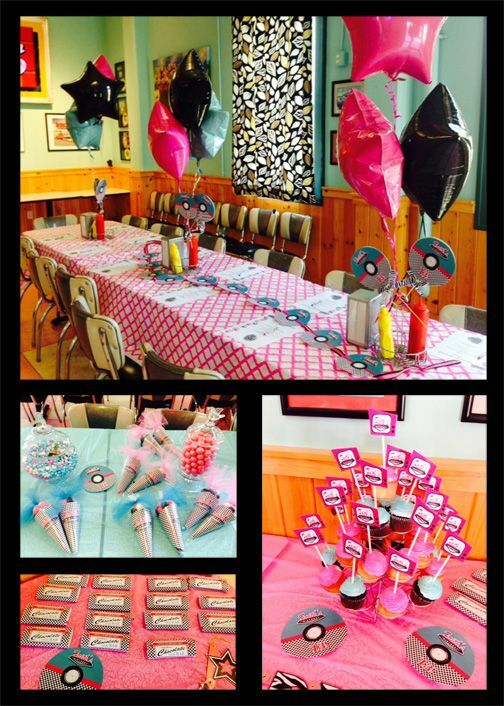 Here are a few more pics from Tyla of the party items that she did a GREAT job assembling!